Extreme Tactical Dynamics offers its customers 4 levels of brightness with our Stealth Visor Emergency Light Bar Series. All have Generation IV 3 Watt LEDS; all are just 17” long. 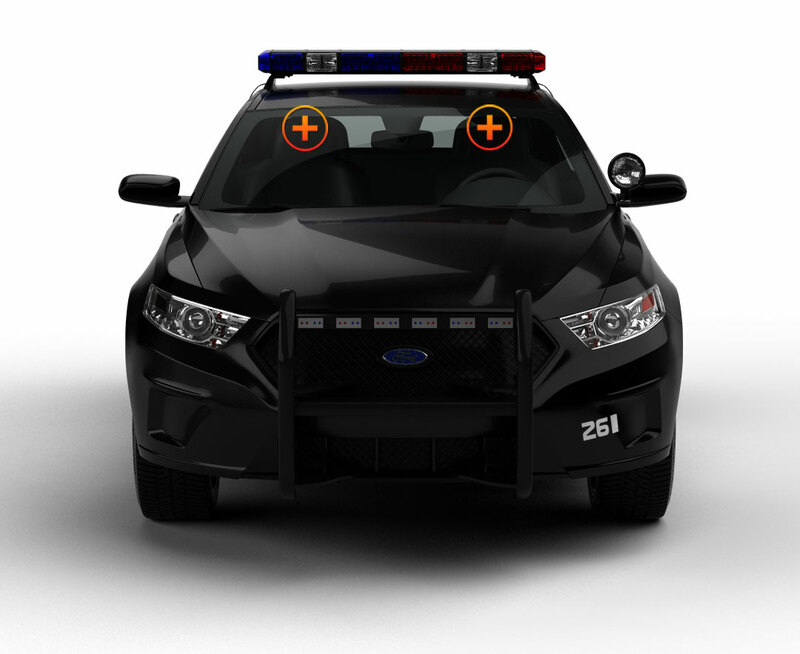 Polycarbonate Linear lenses produce a 120° light spread from the top of the windshield of the patrol car or SUV and when not in use appear to be visors because of their shape and size. Instead of Velcro straps, Universal Visor Mount Brackets attach the Stealth 4 in the place of the visors. The Stealth 4 has 120 Watts or +/- 2400 Lumens, which vary slightly with temperature. Control buttons are located on the driver side visor which is connected to a second visor light on the passenger side; the power plug with OFF/On and flash pattern switches fits into the cigarette lighter receptacle. 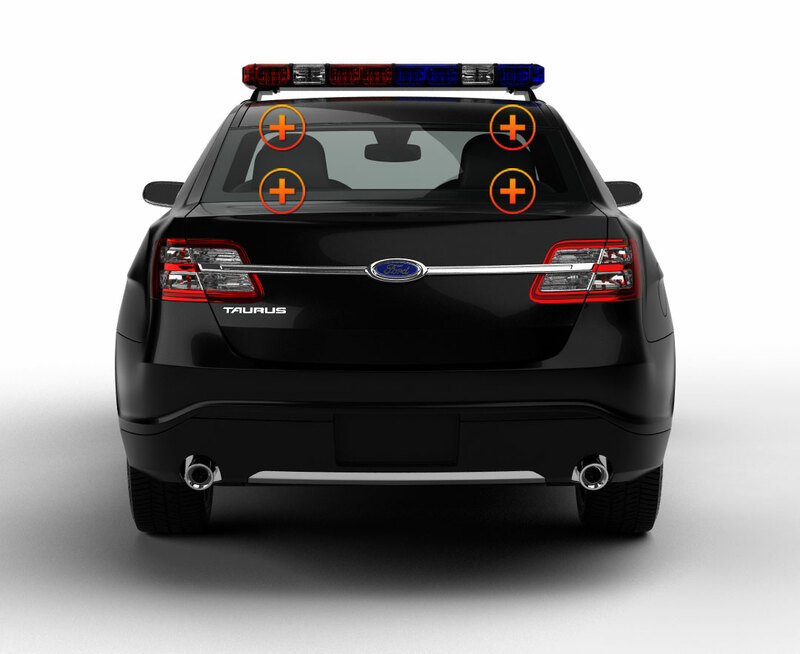 Built-in flashback shields protect passengers’ eyes from the rapid-fire flashing lights. Additional Takedown Lights may be added for $20, and if you want alternating lights, you can have them for an additional $50. You choose the colors that best serve you from 13 standard split-color combinations. Also included in this bundle are 2 pairs of Undercover 4 surface mount lights, each with 4 Generation IV 3 Watt LEDs. Have no fear to hardwire them to any flat area of your vehicle...high or low because the housings and lenses are made of shatterproof polycarbonate. The are sealed with epoxy to keep out dirt and moisture, and each comes with a rubber gasket, mounting flange, and mounting screws. You select the color for each Undercover 4 from 5 solid color choices. At only 5” long, these little lights are amazingly bright for their size, and blend in with standard manufacturer’s light designs. The Undercovers have 19 strobe patterns and pattern memory. ETD is always looking for ways to save our customers money, so we create bundles and pass on the savings to you. We also created a Knowledge Base that we are constantly updating with information that is helpful to you when selecting a light or installing one you’ve bought from us. Remember, too: Our service department is always ready to answer any questions and guide you through an installation.